If you do lots of long distance running, anything over 10 miles, adapting your running to the Chi Running technique will help you become more efficient which will save you energy you need for the longer distances. 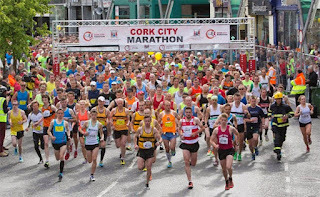 And when we run greater distance the likely-hood of injuries and being side lined for a time is greater, but the Chi Running technique will help avoid those injuries ensuring you make it to race day and enjoy it too! 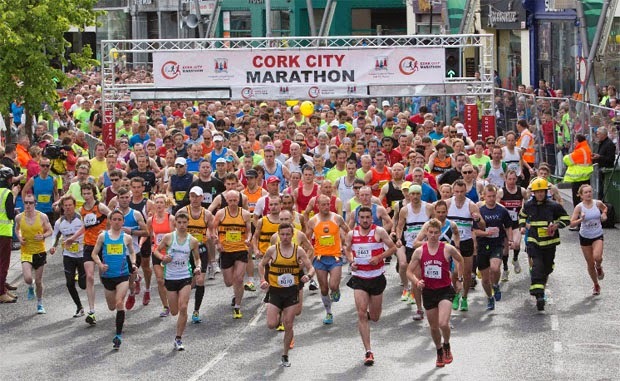 For a limited time I'm offering €15 discount off one of my 1/2 day Chi Running Workshops when you book and confirm participation along with a copy of your registration confirmation for an upcoming Marathon like the Cork City Marathon, Dublin City Marathon, Limerick Great Run, etc. I have recently completed the chi workshop with Ruth which was excellent. I had been, up to this point a non runner, as I had always assumed that to run meant you had to endure pain. Ruth taught me an approach which is more mindful of the whole approach, the road your body and your mind. Ruth is extremely patient and very giving in terms of advice especially to the novice runner. I cant recommend Ruth or the course enough. I now have a set of skills I can take forward to make running more fun. Loose yourself and start to run! ....I am happy to say I have just done my first chi run and have taken two minutes off my time per km. Super progress to drop 2 minutes off per km in such a short amount of time. Well done! I was extremely impressed with your workshop as I had read the chi running book years ago but never implemented any of the techniques. After attending your workshop I have much more confidence in attempting the chi running techniques. You explained everything so clearly and comprehensively in so many different ways which assisted greatly in memorizing the various techniques, it's now up to me to practice using them! I thought your course was exceptionally good value as you imparted so much information both theoretically and practically. I particularly like the fact that you had allocated so much of the time to practical work as this was most beneficial for me. Also it was very interesting to look at the video analysis as this helps again in visualizing my faults and areas that particularly need corrections. It is evident that you are clearly passionate about the benefits of chi running so the ideal instructor. I would like to see an intermediate follow up course as i fear I may fall into bad habits and also there is so much more to learn. Thanks so much and I will be booking in my husband for one if your courses. I began running with the Couch to 5K App this summer and all seem well until the 4k mark when my knees started to play up. A friend recommended Chi Running so I ordered the book but then I felt I needed some personal instruction, so I attended a workshop with Ruth a few weeks ago. It was a very thorough workshop full of precise, clear and incredibly helpful instructions and advice. Ruth is a great teacher, very supportive and generous. I would highly recommend Ruth’s workshop to anyone who wants to enjoy running and liberate themselves from injury holding them back. Brid Corcoran Cunningham. Thanks so much Brid and I hope to see you chirunning at Ballincollig Park Run! Have you ever wondered what your running technique is like? If so, lets take a look at your current running technique where I'll highlight potential injury issues and show you where you could be better using your energy & teach you good running technique. The idea is to run free from injuries and with greater efficiency! Don't delay spaces are limited & fill up pretty fast. 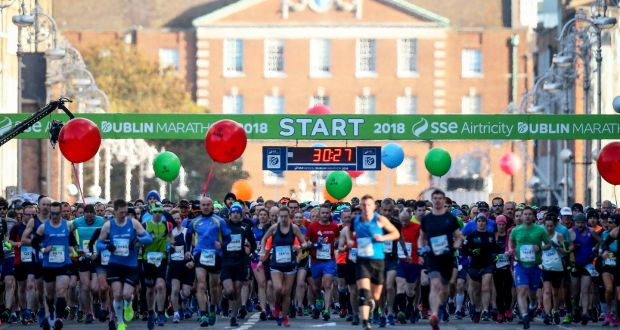 Don't get caught up in the surge of the runners in take off, if you do, check yourself, pull back and slow down, you've 26.2 miles yet to go!! Stay focused on your technique throughout the race to avoid fatigue setting in prematurely. Put some Celtic Salt in one of your water bottles or use an electrolyte tablet. Put half isotonic drink and half water in another water bottle. Relax, relax, relax and enjoy the race, look around you, enjoy the cheering spectators, they'll drive you on. There's nothing like an incentive to get you to the finish line be it your favourite meal or a treat of some sort like a spa day! 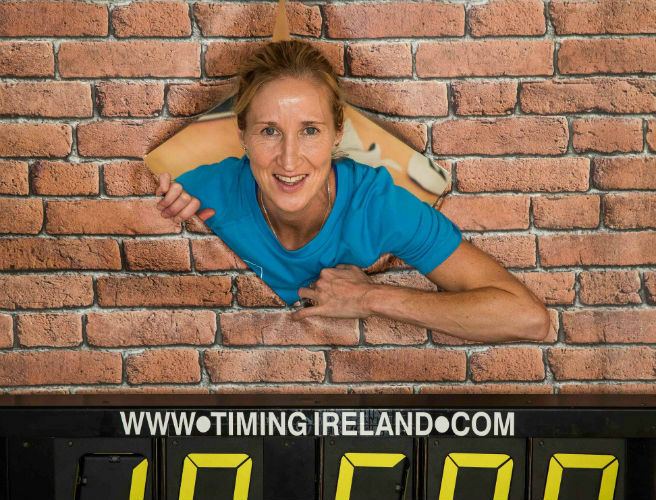 Click here for some great advice from my fellow ChiRunning instructor Catherina McKiernan. Click here for some more great advice from my other fellow ChiRunning instructor Mary Jennings of Forget the Gym. 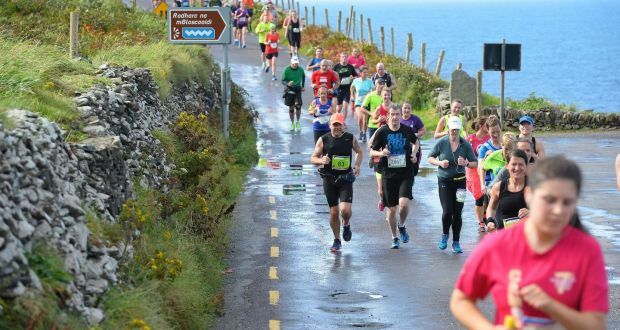 Good luck to everyone taking part this year! 1. Get proper running gear it's everywhere now from cheap to expensive, don't wear your heavy cotton track suits and hoodies. Also invest in a baseball hat (keeps the rain off your face) and a windcheater (keeps the sharp wind at bay) in the cold winter days. 2. Less is more! I know you might be looking out at a bleak blustery day but as you run your body temperature will go up and you'll start to melt wearing too much clothes and then you have to dump it or carry it. 3. Don't hold items in your hand like your mobile or water bottle as it can cause and contribute to shoulder rotation which is very hard to get rid of later when you realize your doing it. Get yourself a water belt and get used to it, you don't have to carry all bottles you can reduce it to two as long as they're balanced either side. You don't even have to fill them up fully. Otherwise you can put your bottle somewhere on your loop. But if you keep yourself nicely hydrated throughout the day and if you're running less than 50 - 60 minutes then you probably won't need water at all until after your run. 4. Use a short stride and a high cadence (SPM min 85 per stride or 170 for both) this will reduce heel strike and is more energy efficient. 5. Don't forget to use your arms! 6. Look straight ahead, not at the ground and not at the sky, just scan the path ahead. 7. Listen to your body, body sense what's going on while your running, don't overdo it especially in the early stages of running but don't be too easy on yourself too, set yourself targets! 8. The sooner you make running part of your lifestyle the sooner it becomes second nature and give yourself credit after your run for getting up and out there. Well done! 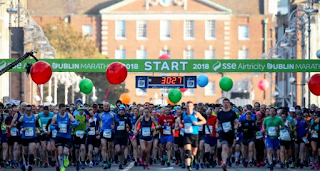 While you're getting ready to go out for your run and during your pre-run body looseners have your metronome set at your desired cadence level so that by the time you head off on your run, the cadence rhythm is well established in your body, that way you'll take off at the cadence you want to achieve. Remember the clip on metronome is ideal for keeping you at the same cadence level regardless of the terrain, so when you meet those upward hills you don't slow down! To feel like your running effortlessly, avoid running injuries and be more energy efficient (so you can run farther or in shorter time), you need to be practicing the combined chi running focuses. When you're learning chi running it takes time to combine the focuses as it can be easier to practice some of the focuses on their own (like the armswing, posture or y'chi) and others together (like the posture, ankle lift and knee bend). Initially while you will enjoy the benefit of the posture focus or rear armswing focus on it's own, it's really when you manage to combine the totality of focuses that you will glide along effortlessly, it's a real AHA moment! So in the early stages of learning the chi running technique, before you go for your run, decide what focuses you're going to practice on each run. If it's a short run you might practice just one or two focuses separately or together. If it's a long run you might practice all the focuses every 10 - 15 minutes (use your watch timer to beep) and at the end of the run practice all the focuses combined. If you've attended a workshop, the chirunning App will really help. Like learning anything new, you will progress gradually and your running will start to become more effortless and in time when you go out one day and you automatically combine all the focuses, you just won't know yourself. Running using all the focuses together is the key! Next time you're out on a run, scan your body to see if you're running using the combination of all focuses or are you only using some of them. If it's the latter, identify the ones you're not using and gradually incorporate them into your running.